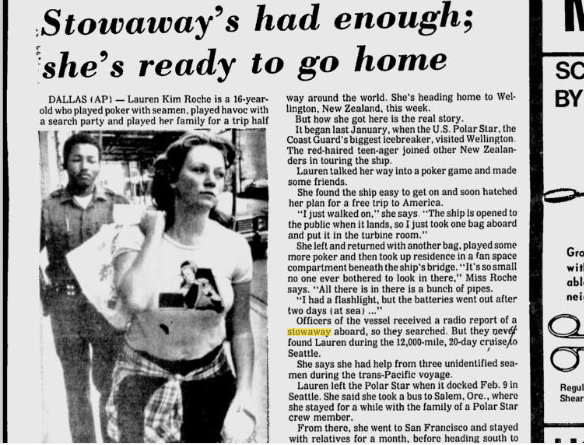 In January of 1978, a 16 year old redheaded New Zealand girl stowed away on the U.S. Coast Guard icebreaker the Polar Star headed to Seattle, Washington. After making her way to San Francisco, she met the members of the rock band Dr. Hook’s Medicine Show and traveled with them to Texas. 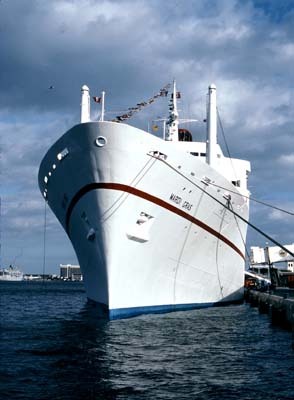 Four months shy of my sixteenth birthday in 1983, Labor Day weekend, my family and friends headed to Ft. Lauderdale, FL for a cruise on Carnival Cruise Line’s Mardi Gras (pictured) formerly known as the RMS Empress of Canada. In fact, several from the Def Leppard’s road crew were on the cruise. Kurt Cobain was there too. I didn’t see any of the members of the band, but I recall giving Rick Savage a t-shirt from the Bahamas. For most of the cruise I kept to myself there really wasn’t much for a kid to do onboard, or maybe just a kid like me. Being fair-skinned I really do not care to lay out turning into a crispy critter, though I love to swim but as long as there is some shade to escape to. Before dinner I disappeared from my mom and friends just roaming the ship and went to the bow. I stood on the railing looking down at the water crashing against the sides. When I hopped down, turned around, and looked up toward the Bridge I saw a man in uniform running across. Later I learned they thought I was going to jump. Upon the return home I was able to finish a song I had started when I came up with the songs for Oingo Boingo’s Deadman’s Party with Michael Hutchence and Adam Ant. It was a gospel rock inspired song called “Home” later to be performed by Marc Broussard. Oh, it’s beautiful, but wait a minute, isn’t this…? I actually started using references to the Titanic in songs, including Supermassive Black Hole performed by the band I named Muse. A little background on Carnival Cruise Line. It was started by the late Ted Arison who was in business with Meshulam Riklis, actress Pia Zadora’s ex-husband, who’s business was based in Massachusetts where Billy Squier is from. At the time of my cruise Carnival Cruise Line was looking to expand their business. 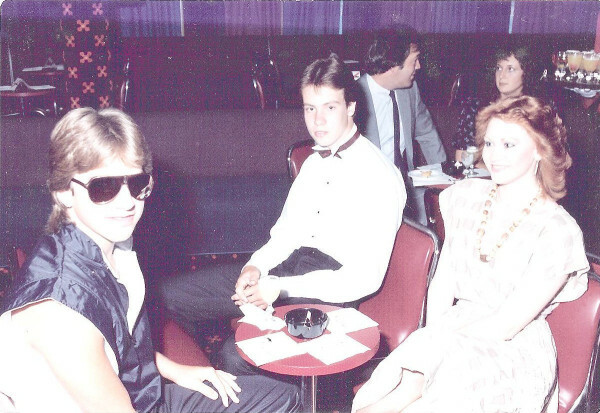 From what I understand the cruise business was having a hard time in ’83. 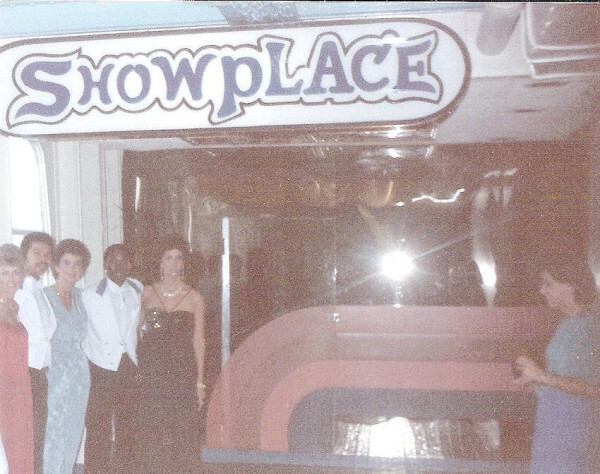 It was soon after my cruise that Carnival started having a standing in the “entertainment business” and hired Cathy Lee Gifford to do their commercials. 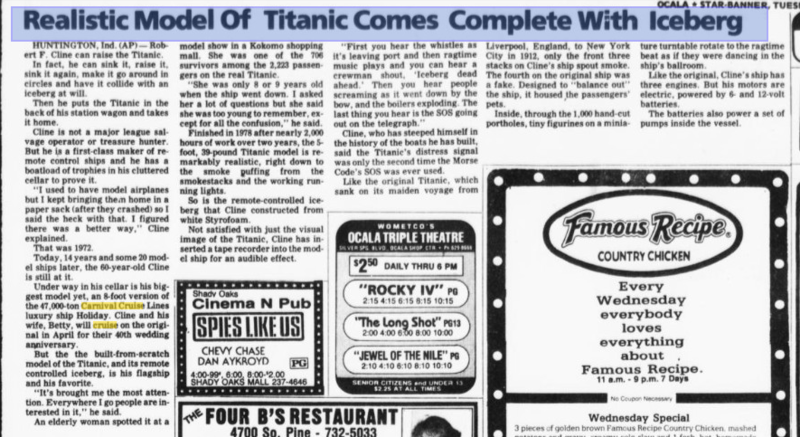 Part of the blockbuster Titanic movie released in ’97 was based on things that happened to me on the cruise. Of course, from an artistic standpoint. They had also wanted to use ideas from Danielle Steel’s ’91 book “No Greater Love” which I tried to talk them out of. They also wanted to use ideas from the 1943 German movie based on Titanic. This is the connection between Carnival Cruise Lines and the Titanic. The article is from January 1986 about a ship model builder. Just for the record, I never saw director James Cameron as the script ideas were being developed who claims to have written it. 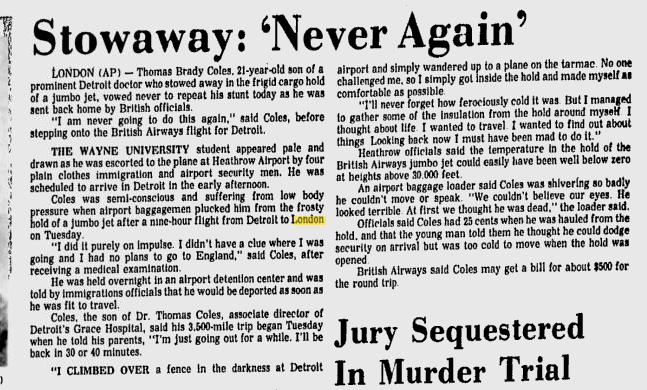 In November of 1978 there was a headline out of London with the 16 year old New Zealander stowaway exclaiming, “Never Again.” This inspired me to write the song Never Again performed by Nickelback. 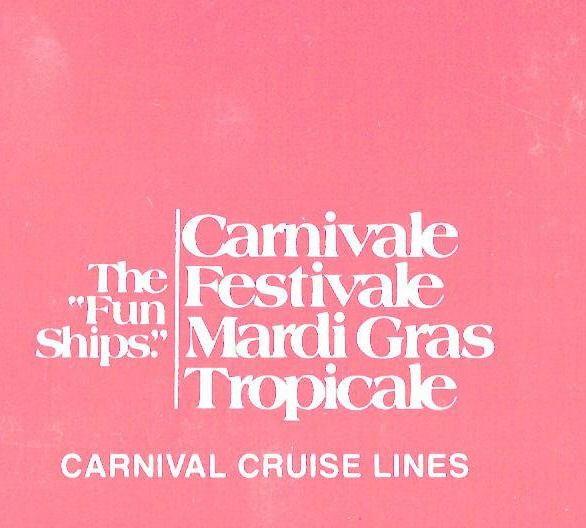 It would be years later that I came up with the idea for and named the annual Rock the Boat held onboard Carnival Cruise Line for the ’74 Hues Corporation song of the same name. This entry was posted on Monday, September 5th, 2011 at 6:12 pm	and tagged with Amy Lee, britney spears, Canada, carnival cruise line, Def Leppard, Dr Hooks, Evanescence, james cameron, Kurt Cobain, Lead Belly, Marc Broussard, Marco Nogara, Muse, New Zealand, Nickelback, rick savage, rock the boat, Supermassive Black Hole, Titanic and posted in alabama, Amy Lee, Carnival Cruise Line, def leppard, entertainment, kurt cobain, movies, music, Uncategorized. You can follow any responses to this entry through the RSS 2.0 feed.